Booking the perfect Upper Black Eddy, Pennsylvania videographer is probably the most important step for your Upper Black Eddy, Pennsylvania wedding or special event. Our local directory of Upper Black Eddy, Pennsylvania Videographers lists some of the best videographers in Pennsylvania. Talented videographers will record and preserve your event for all time. Hence, its crucial to hire a local Upper Black Eddy, Pennsylvania videographer. Much of the work you'll see from your Upper Black Eddy, PA Videographer won't be available until after the event has completed. This means you'll need to carefully research your Upper Black Eddy, PA Videographer selections. Consider the following four suggestions before hiring your Upper Black Eddy, PA videographer. Our website has a number of methods to instantly check the availability of your selected videographers near Upper Black Eddy, PA. Each thumbs up icon denotes an instant availability since these members use Gigbuilder availability checkers powered by WeDJ.com There is no need to spend hours needlessly contacting numerous companies that may not be available. 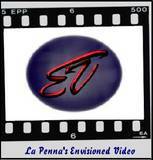 We make it easy for Upper Black Eddy, PA Videographers to contact you. Simply click the contact button next to any Upper Black Eddy Videographer listing and provide your contact information in the pop-up window for your selected videographer. Alternatively, click the save button and contact all Videographers at once using the quick quote system at the top of the page. Most Upper Black Eddy, PA Videographers will require a deposit/retainer fee and signed contract before they will work an event. Make sure to fully read the terms and conditions before signing.